I'm ready for spring to arrive! I want nicer weather as I am sick of all the snow and freezing cold weather. Until it does arrive, I guess I will just have to dream...and plan for St. Patrick's Day. Disclaimer: This post contains affiliate links. Clicking on them will cost you nothing but may earn me a small commission if you buy anything. Why aren't the St. Patrick's Day books very good? If I actually thought that I could write a book, this would be a good subject. Until then, here are the very few books I would recommend. Did you notice that I had to include a chapter book in order to just get three books? Does anyone have any books you would recommend? It's been a couple of years, but I used to always have the leprechaun cause mischief in our classroom while we were at specials. As my classes got sillier and sillier, I have chosen not to have a visit from the leprechaun! If you think students could handle it, I highly recommend trashing your classroom. It's therapeutic for you and the students LOVE the transformation. This activity makes for a great writing prompt. Magic Pudding - Make pistachio pudding with your students. It looks like magic as it turns green when milk is mixed in with the powder. I love making food with my students and this is a great following directions activity. Pots of Gold - Take miniature cauldrons and plant clover. It grows fairly quickly and is perfect in the little pots. On St. Patrick's Day, add a "piece of gold" for students! St. Patrick's Day screams author's purpose to me. I don't know why. I feel certain skills work well for various holidays and this a perfect example! One of my favorite activities is taking the millions of extra Scholastic Book Order forms. Students cut out pictures giving examples of the different author's purpose. You can just have students make a table on construction paper. 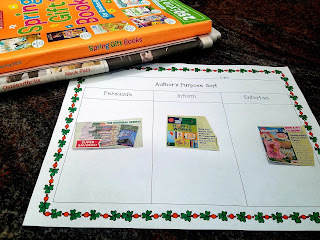 If you are interested in more activities for Author's Purpose, click on the picture above to see my entire St. Patrick's Day set. Let me leave you with a fun St. Patrick's Day FREEBIE. Click on the picture to sign up for my monthly emails. 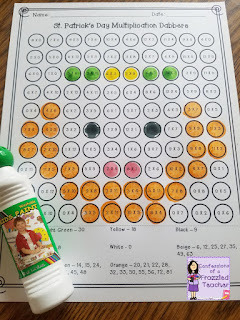 When you do, you will get this fun Multiplication Dabber Activity to use with your students! 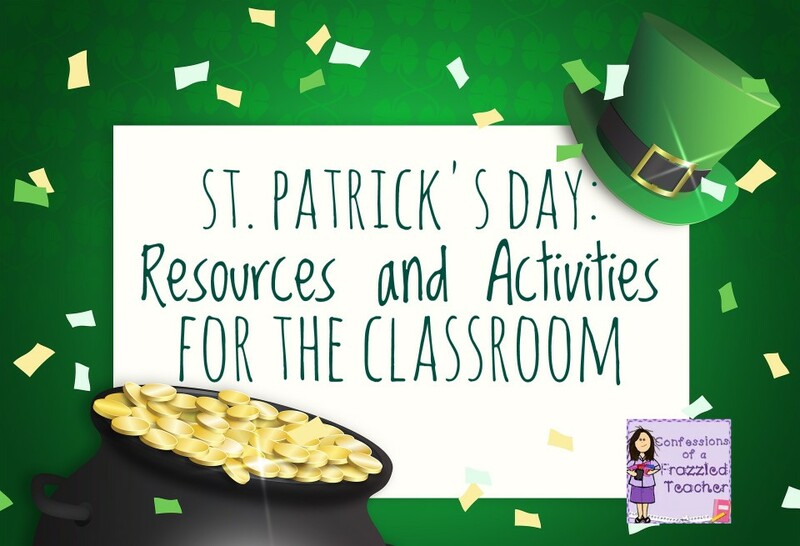 What is your favorite St. Patrick's Day resource or activity?